Point2 Homes gives you far more than a simple list of houses for sale. Get instant access to a lot of relevant information about Yorkton, SK real estate, including property descriptions, virtual tours, maps and photos. The search results pages also have a wealth of information on Yorkton, SK, if you scroll all the way down. 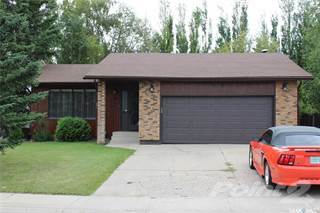 There are 162 houses for sale in Yorkton, SK. 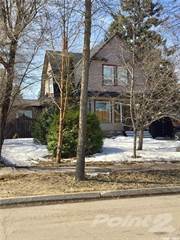 Searching homes for sale in Yorkton, SK has never been more convenient. 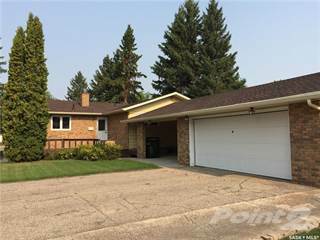 With Point2 Homes, you can easily browse through Yorkton, SK single family homes for sale, townhomes, condos and commercial properties, and quickly get a general perspective of the real estate prices. Also, you’ll never miss a bargain if you filter listings based on house price drops in the past six months. Use the map view to find Yorkton, SK homes and apartments for sale, based on amenities or city features that you may want close by. You can close in on a specific neighbourhood or area by simply drawing around them with the polygon or radius tools. Stay informed about the latest entries on the real estate market by saving your searches. This way, you get new listings in your inbox, daily or every week, based on your preferences. If you’d like to get in touch with a professional, agents are displayed next to their listings, and they’re easy to contact through the online forms. If you want more options, you can click the Tools tab and Find an Agent, and you’ll get a list of helpful and knowledgeable real estate agents in Yorkton, SK. Visit the Point2 Homes blog and you can find up to date expert advice on many markets throughout Canada, regular market reports, neighbourhood scoops in cities throughout the provinces, real estate deals and useful recommendations. Yorkton, Saskatchewan is located six hours drive from the province’s capital. This medium sized city with a population of just under sixteen thousand grows slowly but steadily at a little over 4% per year. Yorkton city proper occupies just over twenty-five square kilometres of land. Growth rate in Yorkton was slightly negative over the past five years. Founded in 1882, Yorkton became a city in 1928. Yorkton’s topography is part of the aspen parkland. The land, bordering a glacial lake, is black cherozenic soil - prime farmland. Besides agriculture, the area of the Quill Lake-Yorkton Plain region of the Saskatchewan Plains Region around Yorkton is forested. Yorkton is also situated in the middle of a large potash field. Yorkton’s Saskatchewan Western Development Museum has a number of exhibits depicting pioneer life on the prairies. There is an early pioneer log cabin and farm machinery including early tractors, ploughs, and steam engines. There are several heritage buildings in Yorkton, andhistory and architecture enthusiasts will enjoy a walk through the city. Built in the 1950’s, Yorkton Tower Theatre has a single moviescreen. Other important buildings include the Army, Navy and Air Force Veterans Building, Dulmage Homestead, Hudson's Bay Company Store, St. Paul's Lutheran Church, Yorkton Armoury, Yorkton Court House, and Yorkton Organic Milling. Ever since the theatre opened in 1950, film festivals have been held in Yorkton. These presently focus on Canadian content and draw tourists to the area. Yorkton is enthusiastic about both summer and winter sports. In 1999 it hosted Junior ice hockey and again in 2006 it hosted the World Junior A Challenge. In 2009 they hosted the Canada Cup Curling. Campgrounds, parks and recreation centers provide a variety of seasonal activities to residents and visitors to the city. There are also recreational opportunities at the Deer Park,the York Lake golf course and the Painted Hand Casino. Those who visit often enjoy a cruise on Good Spirit Lake. Bowling, motor sport, swimming and snowmobiling are also seasonal recreations. Yorkton Exhibition Association hosts an annual summer fair each July. Activities include chuck wagon races, chariot races, horse races, a midway, a grandstand show, livestock competitions and displays from local businesses. Those visiting Yorkton will find numerous accommodations including motels, bed and breakfast establishments as well as campgrounds. Yorkton is easily reached by car. It is on the TransCanada Yellowhead Highway near the eastern border of the province. The route is scenic and well maintained. If you are flying to Yorkton, the closest commercial airport is Regina. From there it is a two-hour drive to Yorkton. There are several purchasing opportunities in Yorkton. It is the Saskatchewan city with the sixth most available properties. Demand for properties in Yorkton is presently higher than supply. This makes the market appealing to builders. The city is the third largest trading area in Saskatchewan.The economy is diversified. Over a thousand businesses employ nine thousand people in such areas as manufacturing, agribusiness, food processing, retail, construction and health care. Yorkton operates as a processing center for raw products such as canola and grain,andthere is also meat processing here. These three sectors employ over half of the city’s labor force. The climate of Yorkton is humid continental. With warm summers and cold winters, Yorkton has average daily temperatures of -0.2 °F in January and 64.0 °F in July. The highest recorded temperature was105 °F in July of 1941.The coldest temperature was -51 °F in January, 1943. The first modern settlers in the Yorkton colony were English. They travelled from Eastern Ontario and from Great Britain. Close to the city,incomers from Scotland settledin a community called Orkney. A large group of Ukrainian settlers arrived in the early 1900’s.